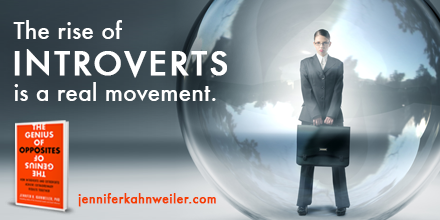 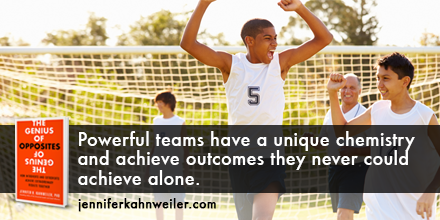 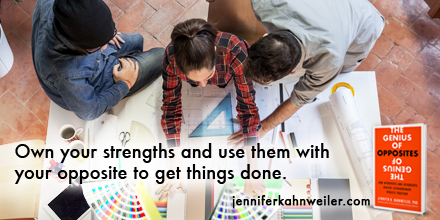 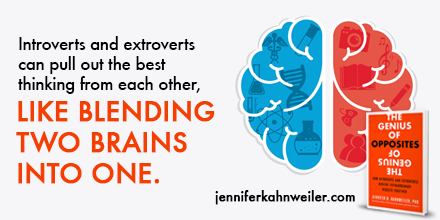 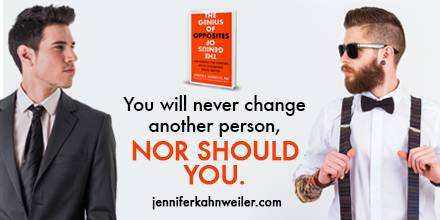 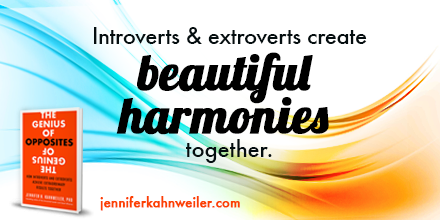 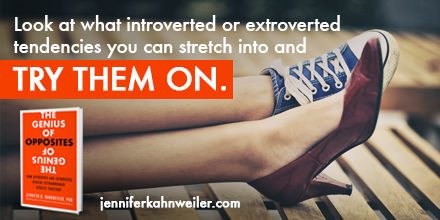 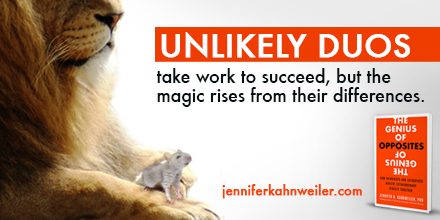 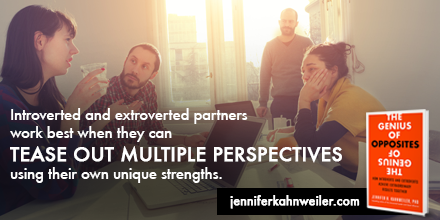 Bestselling author Jennifer Kahnweiler offers a five-step process that will enable introverts and extroverts to work together harmoniously and achieve more than they ever could on their own. 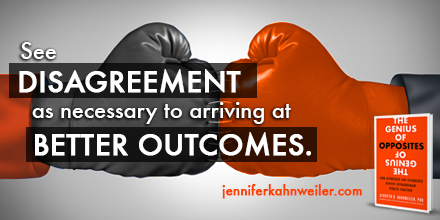 The process can be precarious. 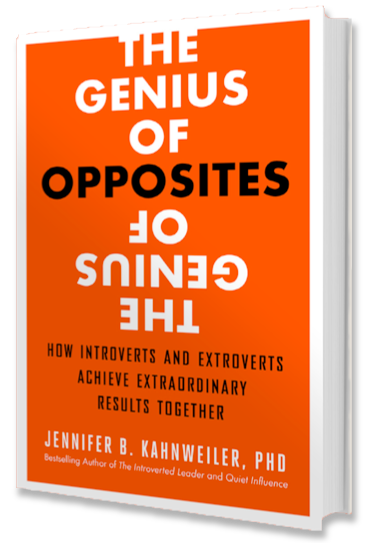 The key, Kahnweiler says, is to remember that the introvert-extrovert relationship is most successful when opposites stop emphasizing their differences and use approaches that focus them both on moving toward results. 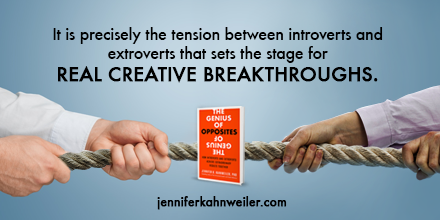 This first-of-its-kind practical guide helps introverts and extroverts understand and appreciate each other’s wiring, use their inevitable conflicts to spur creativity, find the right roles within the partnership, act like respectful friends, and mine their diversity to give clients the widest range of options. 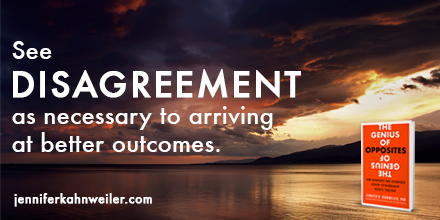 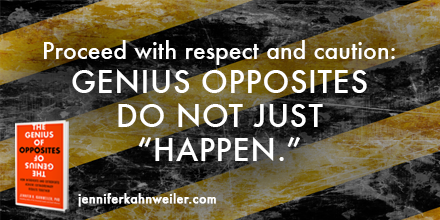 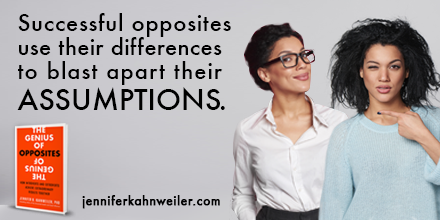 Blending their two points of view allows both partners to see and act on things neither would have separately. 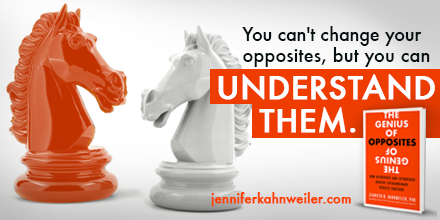 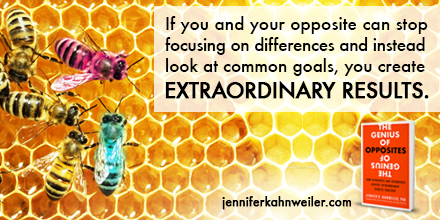 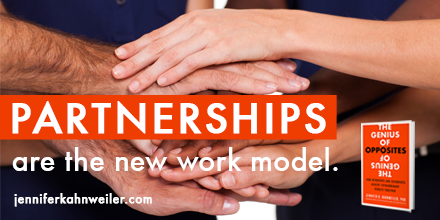 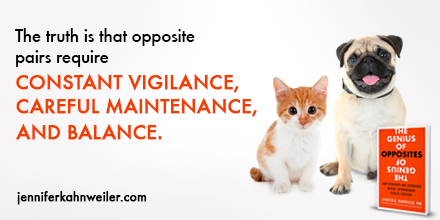 Partners can even enrich their skills by learning from their opposites. 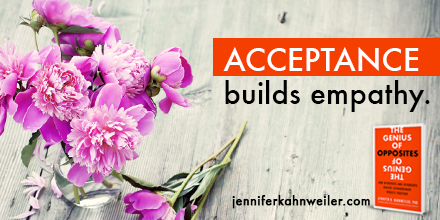 Kahnweiler shows you how to perform the delicate balancing act required to create a whole that is exponentially greater than the sum of its parts.